What happens when the government sends a check to the wrong person? Or sends a check to the right person but in the wrong amount? Or sends a check that never should have been issued at all? Such mistakes cost taxpayers billions of dollars every year. In our annual audit of the federal government’s financial statements released Thursday, the Government Accountability Office reported that agencies’ estimated improper payments in fiscal year 2018 totaled $151 billion—about six times NASA’s 2018 budget. Agencies spend more than $4 trillion each year to operate the government and although not all improper payments are fraud, and not all improper payments represent a loss to the government, all improper payments degrade the integrity of government programs and compromise the public’s trust in government. From 2003 until 2016, the federal government reported an annual, governmentwide improper payment estimate, which helped recognize and address the problem and provide transparency. However, beginning in 2017, the government stopped providing this estimate, stating that examining each program individually was more useful. Understanding the estimated improper payments made by specific programs can be helpful, but continued reporting of the governmentwide estimate is critical for transparency. Why do improper payments happen? The Office of Management and Budget has developed categories to help agencies determine root causes of payment errors. In recent years, the most commonly reported root causes were administration or process errors, insufficient documentation, and the inability to authenticate the recipient’s eligibility. GAO and agencies’ inspectors general have found significant, widespread, and long-standing financial management problems at agencies giving rise to the cumulative total of about $1.5 trillion in estimated improper payments reported by agencies since 2003. For example, the Social Security Administration’s IG recently reported that an estimated 1.1 million Supplemental Security Income recipients had not been reevaluated for non-medical eligibility requirements, such as income, in over 10 years. That means SSA cannot be certain that such SSI recipients remain eligible to receive those benefits. As a result, the IG estimated overpayments to these recipients of about $382 million. 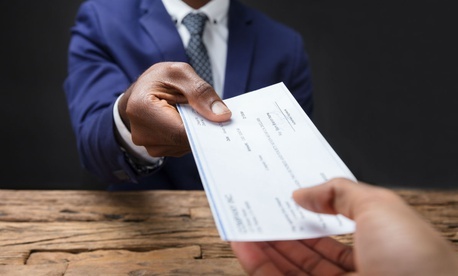 Further, when such overpayments go undetected for a long period of time, recipients of those overpayments may unwittingly accumulate debt to the federal government that may be difficult or impossible to pay back. In another example, the Treasury Inspector General for Tax Administration recently determined that for tax year 2016, the IRS processed over 600,000 tax returns and granted about $1.9 billion in earned income tax credits without verifying reported earnings because employers were late in providing the required W-2 forms to IRS. Agency implementation of GAO recommendations has contributed to reductions in improper payments. For example, GAO oversight of Medicare and Medicaid has led to CMS actions that have reduced improper spending, producing a combined savings of over $2 billion. GAO and IGs regularly issue recommendations to help agencies overcome financial management challenges and reduce improper payments, but some agencies have been slow to implement them. For example, the Centers for Medicare & Medicaid Services still needs to fully address at least 20 GAO recommendations dating back to 2012. While improper payments are a governmentwide problem, and more than 75 programs reported improper payment estimates for 2018, over half of the $151 billion total was attributed to Medicare and Medicaid. Although agencies annually report improper payment estimates, the federal government is unable to determine the full extent to which improper payments occur. Specifically, GAO has reported issues related to agencies identifying programs susceptible to risk and agencies’ improper payment estimates, including methodologies that may not produce reliable estimates, and risk-susceptible programs that did not report estimates. How can the federal government move forward? Implementing open GAO and IG recommendations would help reduce improper payments. Also, agencies could develop better data sharing methods. According to the HHS inspector general, when the Social Security Administration shared death data with CMS, it helped ensure that Medicare prescription drug coverage payments were discontinued after beneficiaries died. Data sharing allows payment-making entities to compare information from different sources to help ensure that payments are appropriate. The government can improve improper payment monitoring and increase the accuracy and reliability of estimates by developing better methods for identifying programs that are susceptible, estimating improper payments and identifying the root causes of them for such programs. These methods could help programs improve internal controls and develop corrective actions, preventing future improper payments from occurring. Increased transparency of improper payments, implementation of auditor recommendations, data sharing, and improved methods of estimating improper payments and developing corrective actions that focus on root causes could all reduce improper payments. Until such actions are taken, the government remains at risk for billions of dollars in improper payments annually. Larry Malenich is managing director of financial management and assurance at the Government Accountability Office.